REVELSTOKE - A Special Public Avalanche Warning has been issued for recreational backcountry users by Avalanche Canada. 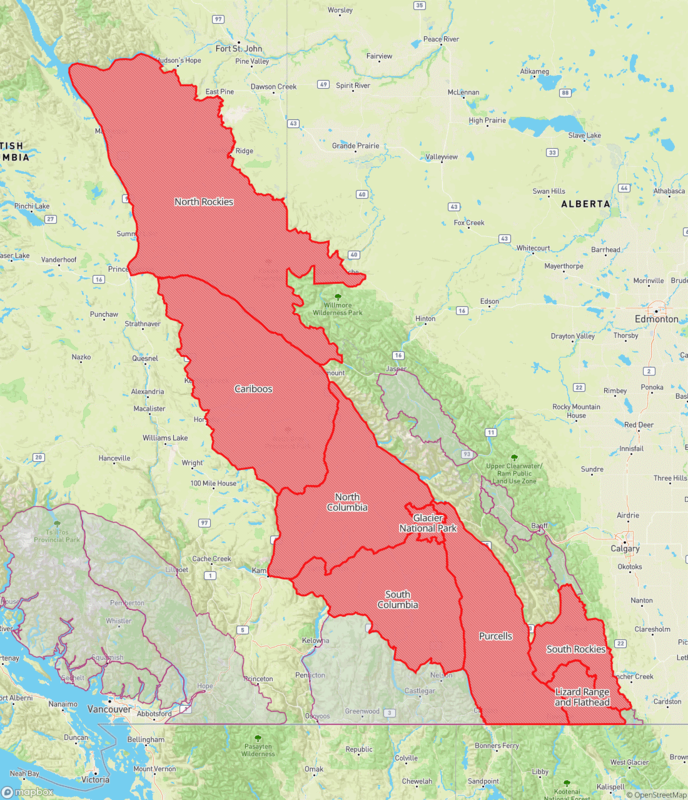 The regions that fall under the warning are for the North Rockies, Cariboos, North & South Columbia, Glacier National Park, Purcells, South Rockies and the Lizard Range (Full view of the regions). The reason for this warning is because the snowpack at and below treeline is weak and therefore more dangerous than the alpine. Avalanche Canada says there have been many close-calls with backcountry recreationists reported in the past few days involving this snowpack layer. "With this layer, the trees are not the safe haven they normally are," explains Senior Avalanche Forecaster Grant Helgeson. "And identifying avalanche terrain in these lower elevations can be difficult. You need to be aware of smaller slopes like cutblocks, roadcuts, gullies or even just openings in the trees. This is where the weak layer will be a problem and where it's primed for human-triggered avalanches." They are also warning backcountry users to use safe travel techniques and avoid avalanche terrain at and below treeline in the regions under this warning. Anyone travelling in the backcountry needs to have the essential rescue gear including a transceiver, probe and shovel as well as how to use it. Avalanche Canada says to always check the current avalanche conditions.